The scent of gingerbread is in the air and Christmas decorations are popping up all over Cincinnati and Dayton, OH. While this time of the year is filled with joy, it’s also vital that you take the necessary precautions to protect yourself and your loved ones while on the roads. As a luxurious and affordable transportation service, we strive to make this holiday season as safe as possible for you and your family. 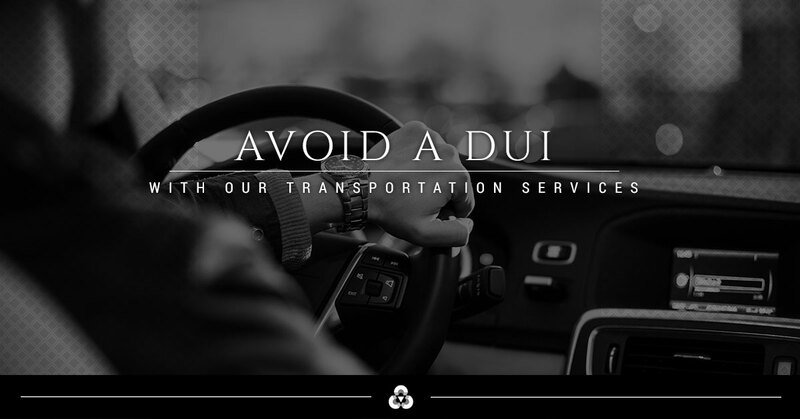 If you’re looking to avoid a DUI this holiday season, then take the time to learn more about our transportation services and how they can benefit you and your loved ones. DUIs are very abundant during this time of the year because of all the holiday parties taking place. While it’s fun to go out and enjoy a night with your coworkers, friends, and family, sometimes, you may not think of how you’re going to make it home. After having a few too many drinks and enjoying the warmth in the house at the party, you may be too tired and drunk to drive, which is why it’s vital that you have a plan for getting home when you are invited to these celebrations. With our transportation service, you can eliminate the chance of a DUI and continue to have fun for the entire night without worrying about getting to and from the party. The first way our transportation services will help you avoid a DUI this holiday season is in the most obvious way: You won’t drive. With us driving you to the party and picking you up, you’ll never have to worry about getting behind the wheel. In fact, you can even leave your car keys at home because you won’t have to get behind a wheel. When you decide on our transportation services, you’re able to stay safe and keep other people safe on the road. In addition, you’re able to arrive and leave the party in style. While a car app might be a preferred method of travel, the rates will increase and you could be facing higher costs just to get home. Also, it is the holiday season and wouldn’t it just be amazingly fun to show up in a black SUV with your closest friends? We think it would be pretty nifty to arrive at parties, bars, and restaurants on New Year’s Eve in a luxury car. By taking our transportation services all over town, you can enjoy the night as much as you want to. This means that you can spend as much time going all over the city whenever you want to without having to worry about parking, driving, or waiting on an Uber or Lyft. If you want to get the most out of your New Year’s Eve or at some Christmas party, then our transportation services are the right path for you. In addition, with our luxury transport system, you can fit all of your friends in one car without having to worry about leaving anyone behind. Stay safe this holiday season with Ohio Luxury Transport.